Do you bake often? If so, you must be familiar with cocoa powder. It adds a rich and fantastic chocolate taste and flavor to anything you throw in the oven. Some people even just mix the fine powder into hot water as a healthy way to drink hot chocolate. 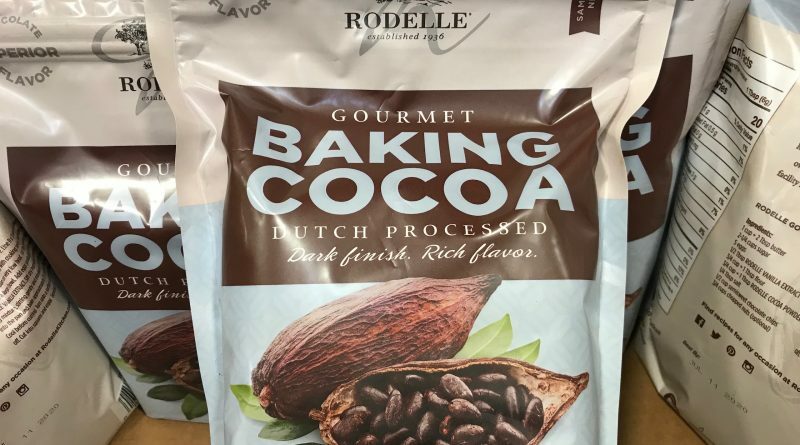 The Rodelle Baking Cocoa is a rich cocoa powder with a dark finish and rich flavors. This product is Dutch processed for an amazing concentrated cocoa taste. By using 100% cocoa powder, you can enjoy delicious chocolate taste without all the additives and dairy mixtures. By Rodelle established in 1936. Ingredients list: 100% cocoa processed with alkali. 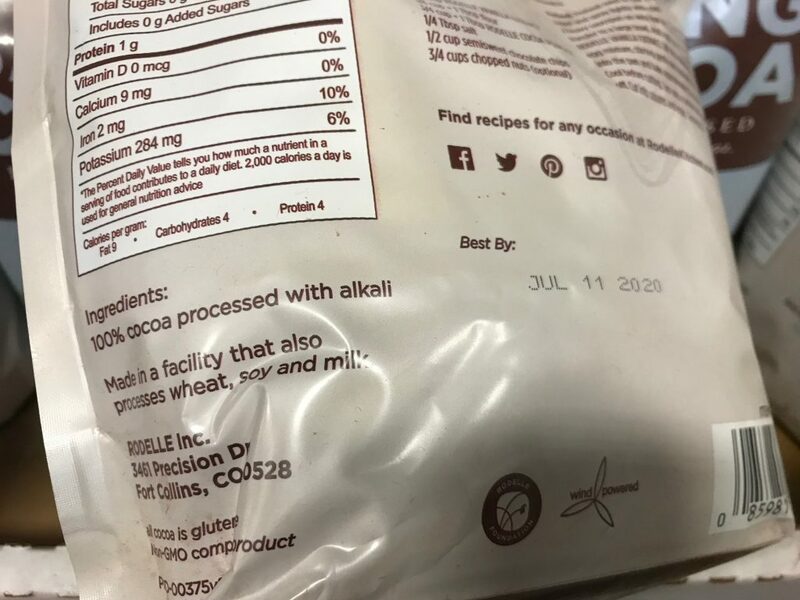 Allergen information: This cocoa powder product is made in a facility that also processes wheat, soy, and milk. 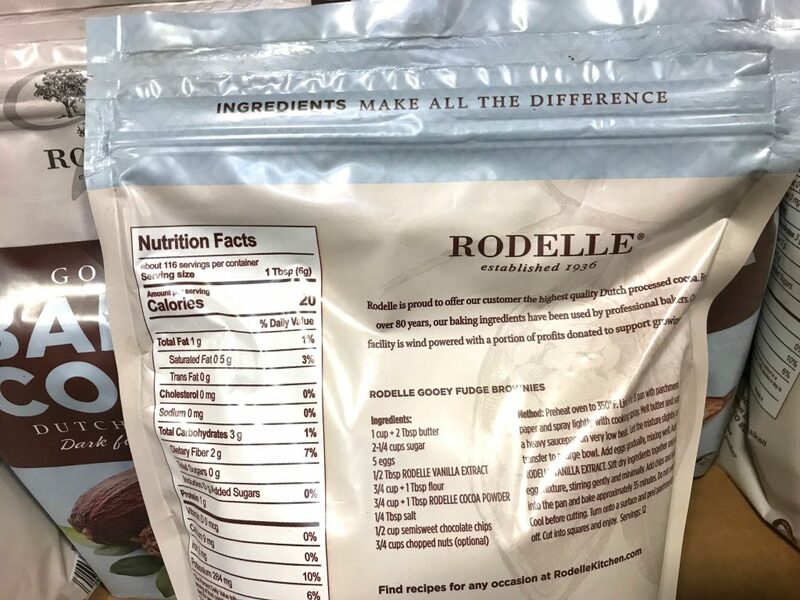 The Rodelle Baking Cocoa serving size is one table spoon. This is equivalent to 6 grams. There are about 116 servings per container bag. Each serving has 20 calories and there is a little bit of fat as well as fiber in each serving. Professional bakers have been using Rodelle products for decades to make delicious confections and bakeries. A popular creation includes the Rodelle gooey fudge brownies. You can find the recipe in the image above. What I like about cocoa powder for baking is that it’s very friendly to those who are vegan or dairy-free. It’s hard to enjoy rich chocolate flavors without cocoa powder since alternatives will include sugar and milk ingredients mixed in. Therefore, it’s smart to use pure cocoa powder to add in those chocolate flavors and adjust to your personal taste. 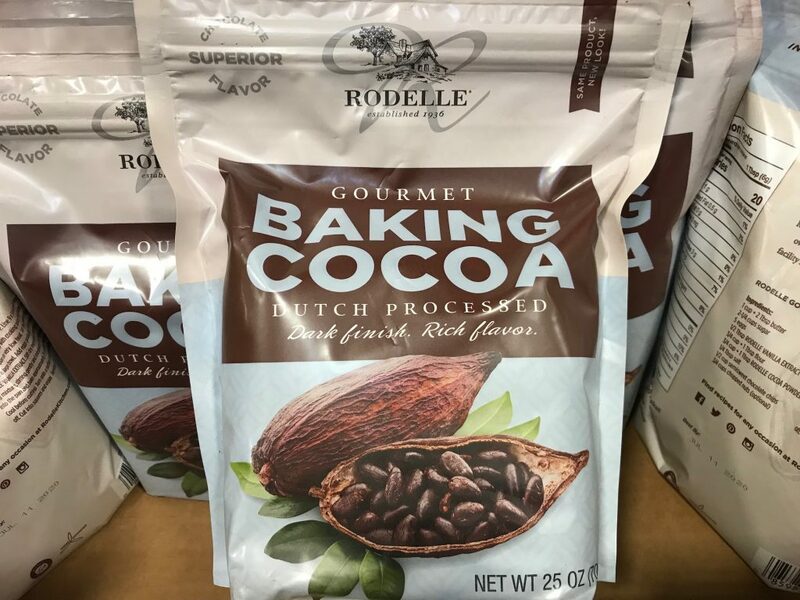 Looking to Purchase Rodelle Baking Cocoa?